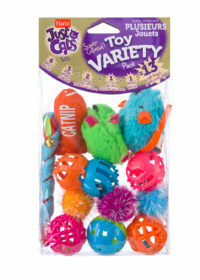 Enticing assortment of premium cat toys that stimulate your feline's inner hunter! 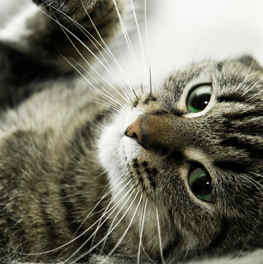 Awaken the hunter within your feisty feline as they stalk and swat like their big cat ancestors. 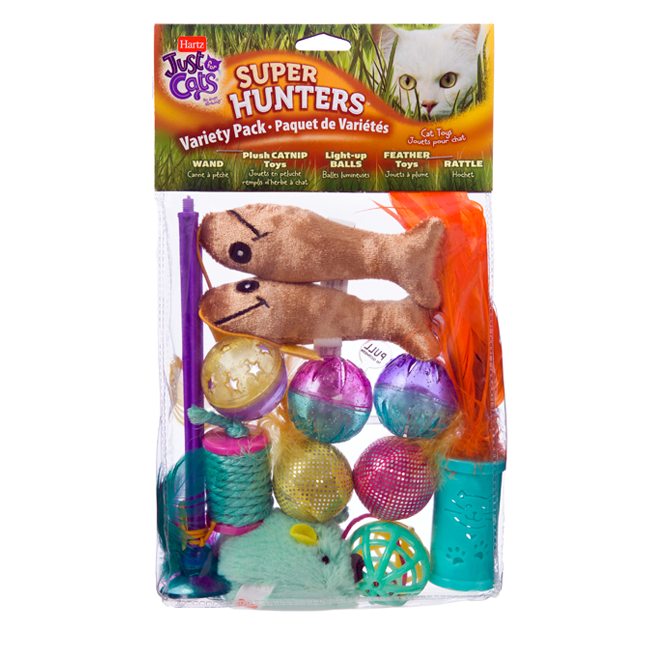 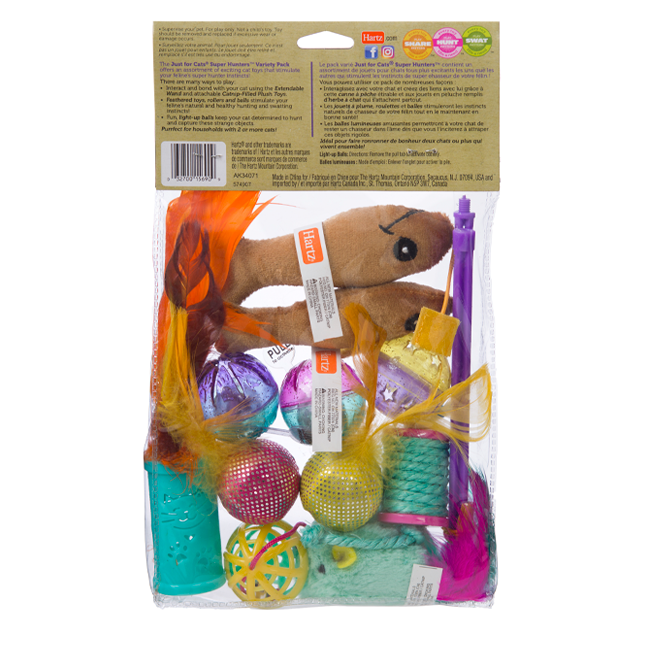 The Just For Cats Super Hunters Toy Variety Pack offers many ways to engage your playful kitty. 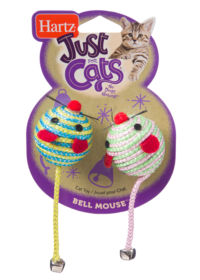 Interact and bond with your cat using the extendable wand and attachable catnip filled plush toys. 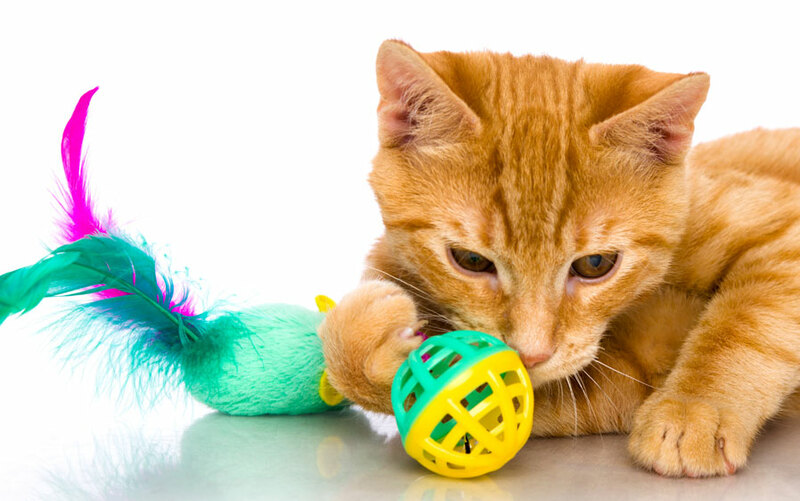 Feathered toys, rollers and balls stimulate their natural, healthy hunting and swatting instincts. 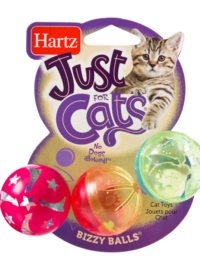 Delightful light-up balls keep your cat captivated and curious. 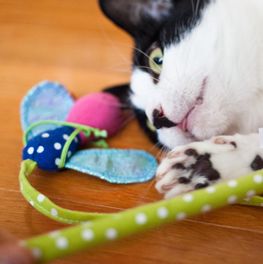 Each premium toy has been developed to satisfy the innate behaviors your cat has inherited from their wild ancestors. 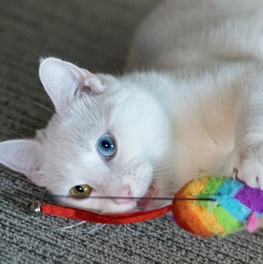 Enticing assortment of premium cat toys that stimulate your feline’s inner hunter!